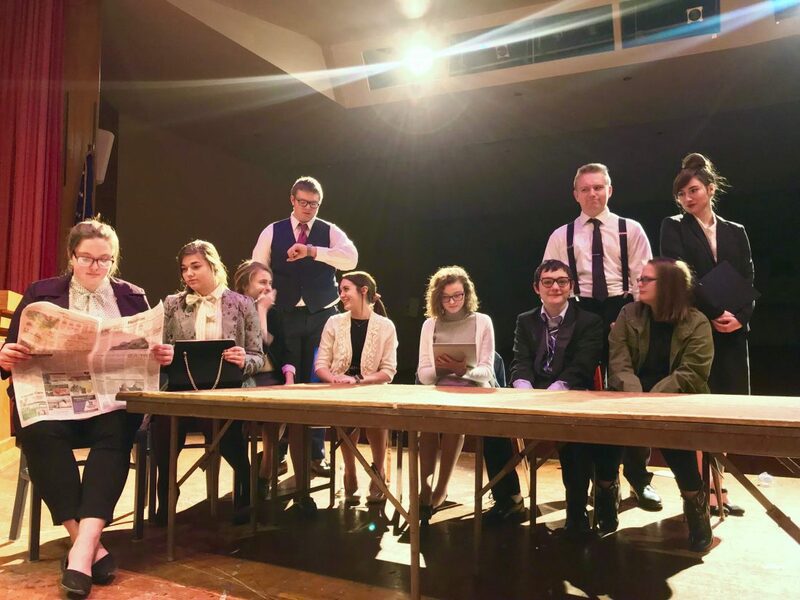 THE SHADYSIDE High School Theatre Co. will be performing “12 Angry Jurors” by Reginald Rose, adapted by Sherman L. Sergel, Friday, Feb. 15 at 6 p.m. and Saturday, Feb. 16 at 3 p.m. at Shadyside High School. There is a cost. Cast members include, front row, from left, Kaylee Savage, Sam Fouty, Bailee Becket, Abbie Brown, Lexi Antill, Johnethan Scott and Megan Price. Back row, from left, Hunter Hughes,Tanner Crozier, Jenna Bowers. Not pictured: Zeke and Zak Merryman, Zach Clark and Kylie Quinn.